China's factories are growing at a slower pace to start the new year. 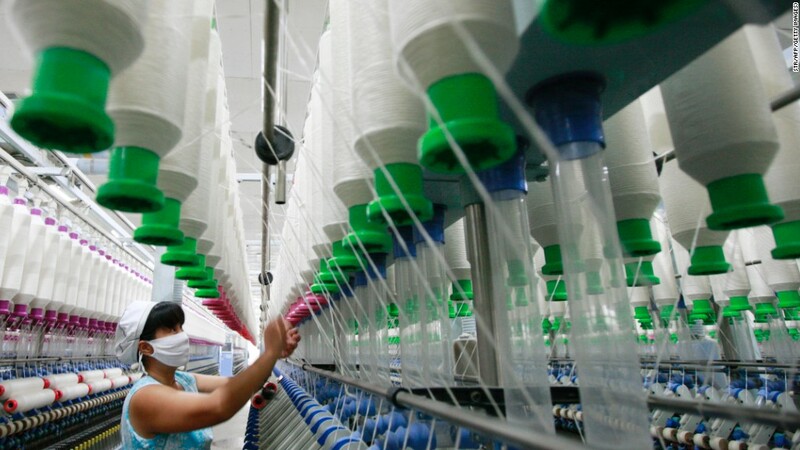 China's factories lurched into 2014 at a reduced speed, with manufacturing activity falling to a six-month low. HSBC said that its "flash" measure of sentiment among manufacturing purchasing managers fell to 49.6 in January from 50.5 in December. January's reading raises a red flag, as any number under 50 indicates a deceleration in the manufacturing sector. If factory activity continues to lag in the coming months, it could be ominous for China's economy and pose an even greater challenge for the government's plans to enforce economic reforms. Experts believe reforms are necessary to sustain the world's second-largest economy, especially as China seeks more stable expansion following decades of ballooning growth. Related story: Yet another China credit crunch: What's going on? HSBC economist Hongbin Qu said in a statement that weakness in the manufacturing sector was due to slowing domestic demand. Government policy should shift to focus on boosting growth to avoid a deceleration in the first half of the year, he said. Other economists said they're holding off from reading too much into the data, due to seasonal fluctuations around the Lunar New Year holiday, which kicks off late next week. The January dip "looks too far out of step with recent evidence of an improving global business cycle," said Bill Adams, an economist at PNC Financial Services Group. "This release calls for caution -- but not angst." HSBC's final reading will be released on Jan. 30.